“… a short, action-packed tale of true friendship and bravery. …the author wrote with such character and charm. The characters seemed to jump off the page and fly around me. “Hannah takes the reader on a fantastical journey of dragons, family disappearances, sword-fighting, and friendship. She’s an ambitious and colorful young writer with a promising career ahead of her. I can’t wait to track her inevitable success!”—Stacy Davidowitz, author of Camp Rolling Hills. “At her young age, Hannah Hoffman has proven she has the ‘write’ stuff to produce an adventurous novel full of friendship, adventure and heart.” – Jen Calonita, author of Fairy Tale Reform School series. 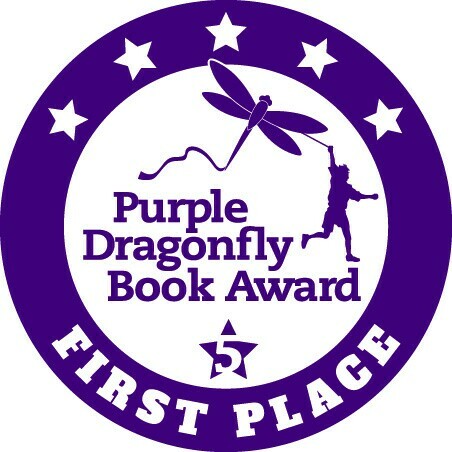 1st Place Winner for Chapter Books – 2017 Purple Dragonfly Awards!